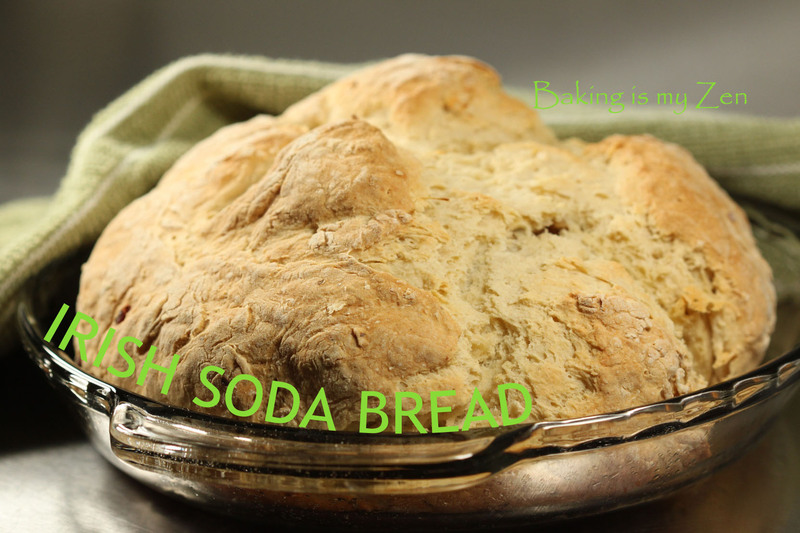 and this week’s recipe is Irish Soda Bread. 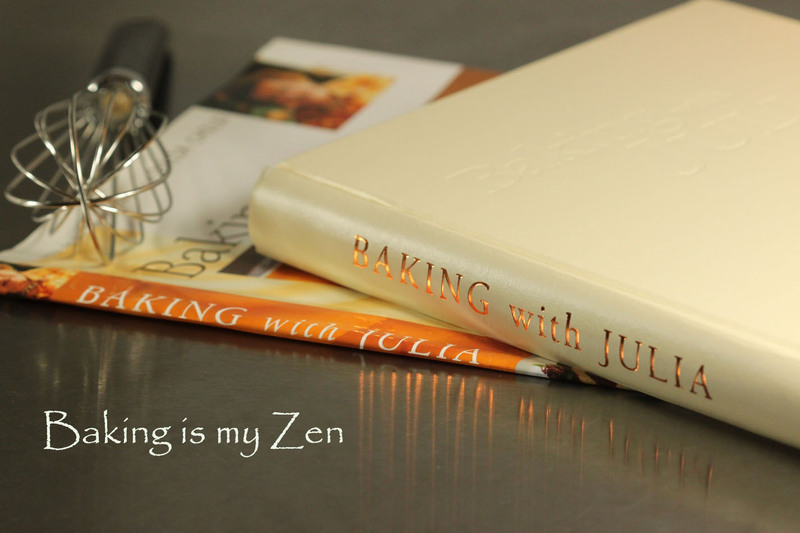 Baking with Julia, by Dorie Greenspan. The contributing baker for this recipe is Marion Cunningham. 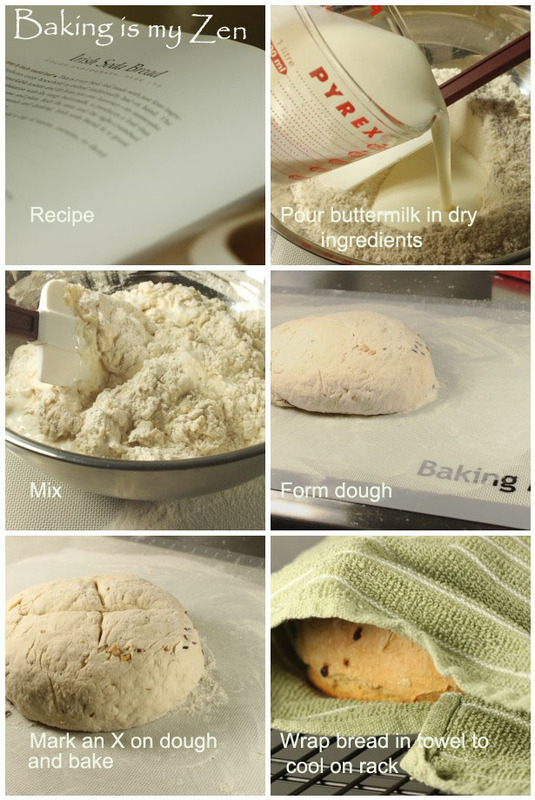 This is such a simple recipe, even a child can make it. It’s that simple. I like to shake things up a bit in my recipes. Added chopped craisins and chopped roasted walnuts. Slight snafu while baking…after mixing the dough and forming it, I noticed the craisins and walnuts were left behind. Oh no! I wanted these additions. So, I sprinkled both items on the dough, folded the dough over once. Mission accomplished. Smiles all around. Proceeded to cut an ‘X’ in the middle of the dough, then placed in a greased glass pie dish. Finally, off to the oven to bake. Happy with the results…recipe is a keeper. 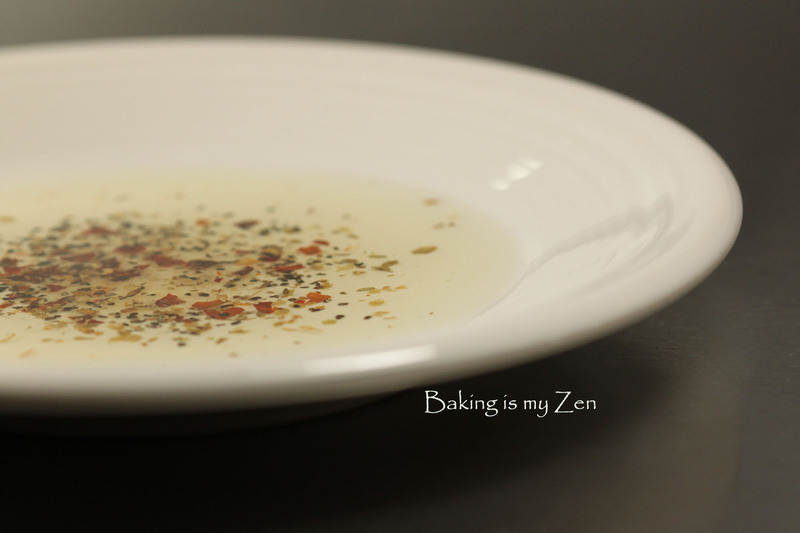 Whenever I bake bread, I love to dip it in herbed oil…so delish! The Irish Soda Bread recipe can be found on page 214. Also, check out the other bakers’ blogs. Next up, is Pizza Rustica, a recipe by Nick Malgieri. Stop back on April 3rd. NOTE: DO NOT use my photography WITHOUT MY PERMISSION. 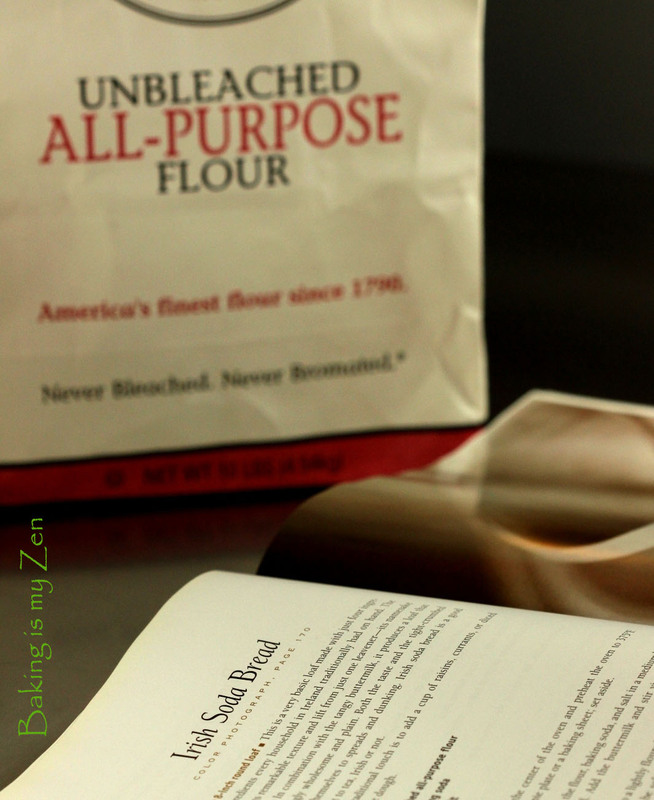 This entry was posted in Baked, Breads, Breakfast, Holidays, Tuesdays with Dorie: Baking with Julia and tagged Baking is my Zen, bread, Canon Rebel T1i, Carmen Ortiz, Dorie Greenspan, Irish Soda Bread, Marion Cunningham, St. Patrick’s Day, TWD Tuesdays with Dorie: Baking with Julia. Bookmark the permalink. Your bread looks great! I love to use herbed oil too. If you ever make pizza at home, it is great to spread on the dough before you put on the sauce and cheese! I like your suggestion! Will use it. Thanks! Your bread looks great and so delicious! I love your photos, I can see why you have to keep telling people not to steal them! Yes, my photos have been taken…not happy about it. Beautiful! I love the idea of dipping this in herbed oil! Great step-by-step pictures! I’m sure your bread was delicious! The only thing that matters is that you remembered to add the mix-ins before popping it in the oven. Kudos to you! I would have been very disappointed if the additions were left out. Nice job. The herbed oil sounds like a cultural link between this recipe and the next – from Irish to Italian! Exactly…I was going to mention the international tie…but didn’t. I love herbed oil as a dip for bread. Your irish bread looks delicious! I loved the simplicity of it. This is a fun recipe to dress up a bit…craisins and toasted walnuts sound delightful…Glad you got your additions in. I love all of your cool pictures! Your bread looks rustic and delicious! What beautiful pictures – really looking forward to the next TWD! I had that same “oh no” moment when I saw the bag of currants I’d forgotten to put in mine! I didn’t dare go back and try to add them tho…oh well…next time. Looks like a tasty loaf! Enjoyed reading your blog; check out mine if you get a minute. 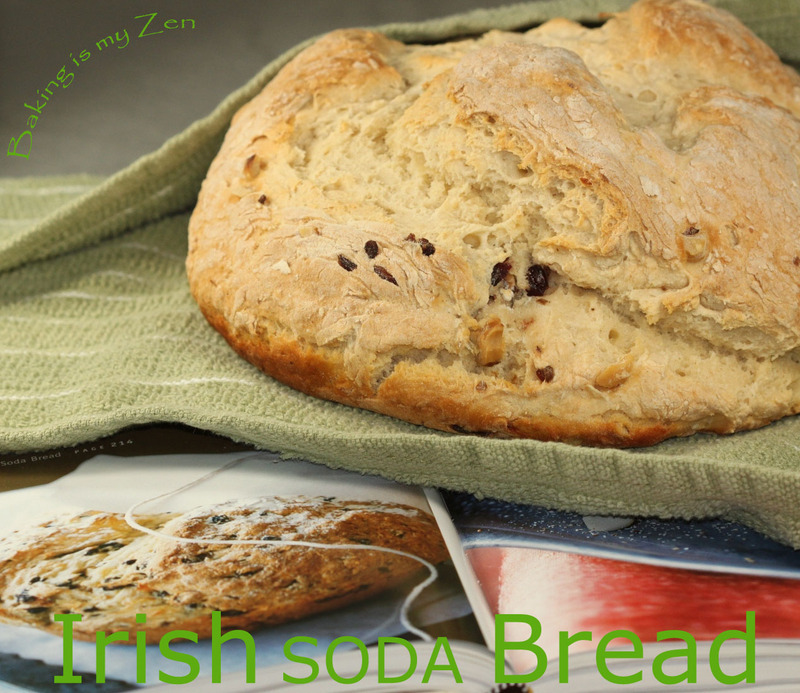 The Irish Soda Bread was quite possibly the simplest bread ever. I used Craisins in mine, but next time I’ll be making the standard version to serve with home make soup or stew. Bygore, will stop by your blog. I loved the simplicity of this bread. Thanks I’m at Home Baking! It looks lovely, and sounds delicious dipped in herbed oil! Great idea to dip in herbed oil…love the stuff! Beautifully done! Drives me crazy when I leave out an ingredient! Sometimes when you make a change because of a forgotten item you make a great new discovery, which it sounds like what happen to you. Can’t wait to try it with craisins and walnut also a go to add in for me. Beautiful blog! I also love your photos! Your blog looks great! Thanks Libby. I stopped by your blog. great photos! Not to be used without permission.